is designed for a gradual progression of treatment intensity which allows time to properly prepare your skin to receive advanced professional clinical skincare treatment solutions safely and effectively for optimal results. Introduction to clinical strength ingredients Thorough skin analysis to discuss your concerns Facial treatment personally customized to your individual needs. Dramatic results from our exclusive cosmeceutical products and application techniques. Education on each step of your treatment and instruction on how to extend your professional skincare results at home. Re-evaluation of your skin each session to determine appropriate product selection and adjustment of your treatment intensity for greater results. Exclusive professional only peels targeted toward individual skin type and condition. 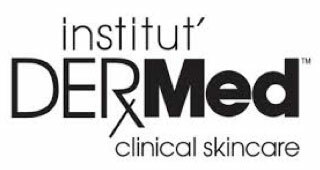 Partnership with a certified Institut’ DERMed Clinical Skincare Specialist ensuring long-term rejuvenation results. 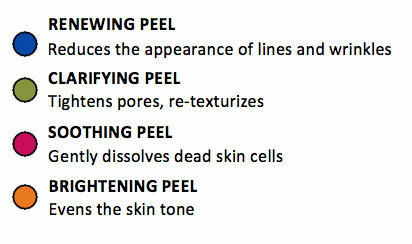 Thorough examination of your skin to determine appropriate chemical peel treatment for desired results. Maximum exfoliation benefits to reduce the appearance of fine lines, wrinkles, uneven skin color and oily skin. Are designed for first time clients who have questions and concerns about their skin, and for clients seeking a results-oriented, relaxing facial experience. Includes: Expert Skin Analysis and specific product selection for your individual skin type and condition, 3 Step Pre-Cleansing, Cleansing, Micro Crystal Polish Exfoliation, Extractions, Mask, Serum, Sun Protection, Moisturizer, Eye and Lip Hydration, Facial Massage, Hand and Lower Arm Massage. Includes: Expert Skin Analysis and specific product selection for your individual skin type and condition, 3 Step Pre-Cleansing, Cleansing, Micro Crystal Polish Exfoliation, Infusion Peel, Sun Protection, Moisturizer, Eye and Lip Hydration. Are designed for clients who are on a regimen of Institut’ DERMed Clinical Skincare products at home and are committed to a regular professional facial session to advance results. Includes: Expert Skin Analysis and specific product selection for your individual skin type and condition, Pre-Cleansing, Cleansing, Advanced Peel Prep, Level 201 Peel, Bio-Derm Nutri Oil or Gel, Sun Protection, Moisturizer, Eye and Lip Hydration. Are designed for clients seeking accelerated rejuvenation results for problematic skin. Treatments are performed using exclusive professional only peels and concentrates to best address compromised skin health concerns. Includes: Expert Skin Analysis and specific product selection for your individual skin type and condition, Pre-Cleansing, Cleansing, Advanced Peel Prep, Level 301 Chemical Peel, Bio-Derm Nutri Oil or Gel, Mask, Sun Protection, Moisturizer, Eye and Lip Hydration, Facial Massage, Hand and Lower Arm Massage. Includes: Expert Skin Analysis and specific product selection for your individual skin type and condition, Pre-cleansing, Cleansing, Advanced Peel Prep, Level 301 Peel applied in 1 - 4 layers, Bio-Derm Nutri Oil or Gel, Sun Protection, Moisturizer, Eye and Lip Hydration.